A second wave of Super Mario Amiibo figures is launching this November – Eggplante! 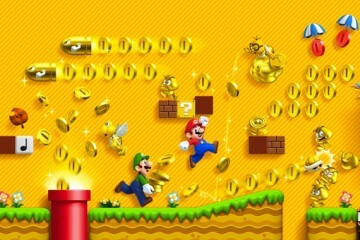 Nintendo was surprisingly quiet about their new announcement of Mario Party: Star Rush for Nintendo 3DS during their E3 rounds today, but they certainly believe in the game enough to launch it with its own new Amiibo selection! 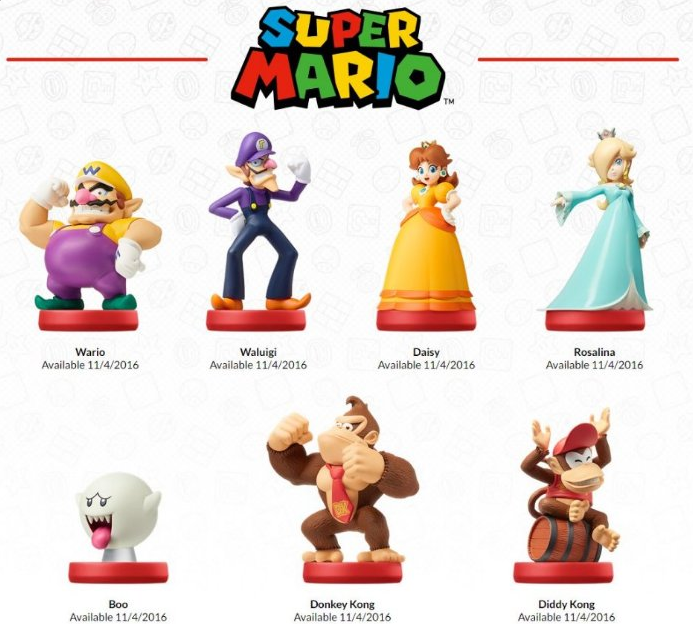 For the first time since the launch of Mario Party 10 on Wii U last year, a new wave of Super Mario Amiibo figures will be released this year, specifically on November 4th, to coincide with the Nintendo 3DS launch of Mario Party: Star Rush. The new figures will include different renditions of Donkey Kong, Diddy Kong, Wario and Rosalina, after they were featured in different makes and poses within the Super Smash Bros. set (their Super Smash Bros. set figures are also rather rare now, especially Wario and Rosalina), and will include all-new Amiibo figures for Daisy, Waluigi and Boo, likely giving us a peek at the playable characters that will be featured in Mario Party: Star Rush. The Boo figure will certainly be especially sought after for collectors as well, since Nintendo has confirmed that it glows in the dark! 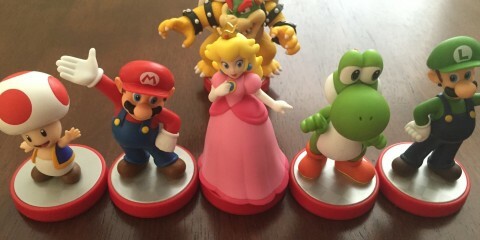 As another interesting tidbit, the Super Mario Amiibo designs for Wario, Donkey Kong and Rosalina could also be glimpsed as early as March of last year in Mario Party 10, which was compatible with the Super Smash Bros. set figures for those characters. 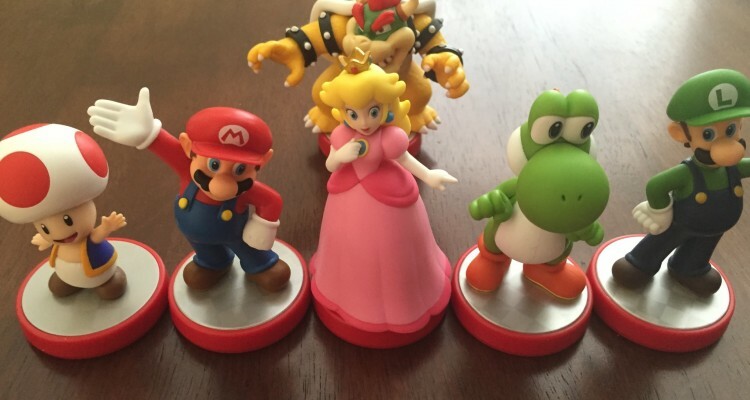 For reference, the Super Mario Amiibo set currently includes: Mario, Luigi, Peach, Bowser, Yoshi and Toad. Of those figures, all of them also have different figure designs in the Super Smash Bros. set, save for Toad, who is only available in the Super Mario set. Keep leaping to Eggplante for all major news and updates on Nintendo’s Amiibo catalogue.